Rotating the Wheels – 2016! Emails Have Been Sent! Are YOU missing YOURS?? Online Registration for Rotating the Wheels 2016 has officially closed! If any procrastinators want to come to the party, you need to contact Carmela directly. An email will go out to all registrants on Wednesday or Thursday to provide the necessary details: address, parking directions, etc. Remember to Register for Rotating the Wheels! Rotating the Wheels is around the corner!! Get Details and Register HERE! Sign Up Today! Early Bird Ends SUNDAY! 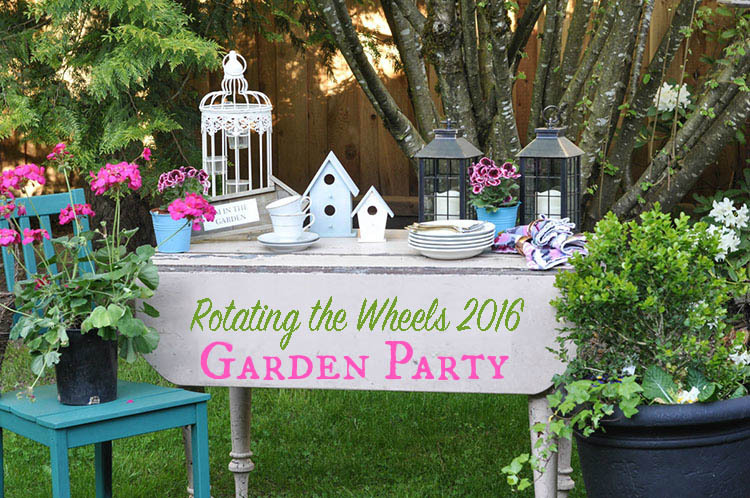 Rotating the Wheels 2016 is nearly upon us! 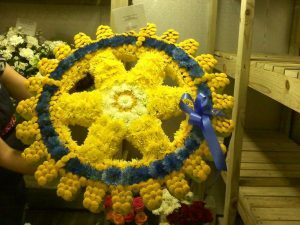 Join us for a Garden Party as we turn the Rotary Wheels! Rotating the Wheels is Around the Corner - Register Today! the home of Gretchen and Robin Callan. Early Bird Tickets are $30. 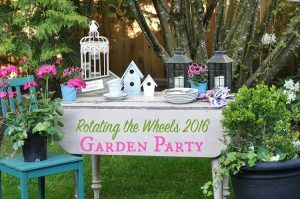 at the 2016 Rotating the Wheels Party! it will be emailed out to registered guests.